Startup news cambodia, startup news Asia, technology Cambodia, Technology news Asia | Cambodia Identity Product – The Cambodian Team that made it to the Technovation World Pitch in Silicon Valley! This week has been a buzz for girls in the tech scene around the world as the Technovation World Pitch is here! The final step of Technovation, an entrepreneurship and mentorship programme to train the next generation of female leaders, is a week-long celebration of the Technovation community. Every year, finalists from Technovation National Pitches are flown into Silicon Valley to engage in a pitching night, presenting their ideas from all over the world. This includes teams from Hong Kong, Kazhakstan, India, Armenia, Kenya, Canada, the US, and excitingly, from our very own Kingdom! Cambodia Identity Product, a team of young girls aged 10 to 11, will be pitching their app in the Junior Division against 5 other teams at this World Pitch. Their platform aims to promote Cambodian products and culture by providing a marketplace for the buy and sell of such items. It also aims to develop Cambodia’s economy by promoting and protecting Cambodian products and inviting companies to increase employment in Cambodia. Just before they left for San Francisco on Monday, Geeks in Cambodia had the opportunity to sit down with the team, made up of Soucheng, Cheata, Mariya, Sabda and Leza, along with their mentor Tesputthira to find out more about their experiences. What was the entire experience like, participating in the workshops, being under mentorship, pitching, and finally being chosen as the finalists to compete in San Francisco? Soucheng: I think that the experience was both complicated and exciting at the same time. When we were working together, as it was challenging, it pushed us to try harder and work as a team to complete the challenge. When we found out that we were selected to go to San Francisco, all of us were very excited. Tesputthira: For me, as a mentor, I am very excited that all the girls can pitch on the international stage for the World Pitch Summit and I do believe that Cambodian girls can play a role in technology, like all other girls in the world. Why did you choose to focus your app on e-commerce, especially on Cambodian traditional products? Mariya: We saw that Cambodian products were not as popular as before. For example, Cambodians use clothes that are in trend or made in other countries, instead of our traditional wear or homegrown brands. That’s why we wanted to make our local Cambodian product more popular than before. Soucheng: Locals also tend to use products from other countries, which make our country’s products less popular than others. What do you think made your innovation stand out from the rest, allowing your team to come out tops? Tesputthira: To me it is because even though they are in the junior division, which is for girls aged 10-12, they were able to come up with an idea to help poor people in the society. Sometimes, even people wiser in years would not think about promoting Cambodian products in the country. Additionally, they can also code by themselves and utilise tech to build their app even though they are only 10-11 years old. What was your biggest takeaway from this entire experience? Soucheng: Our biggest takeaway is that we learned how to code, how to create businesses and how to make your business work. We also learnt how to create an app and how to advertise it through markets. What was the most challenging part of this entire experience? Mariya: To code, to write a business plan and to choose the right theme. For coding, we needed to be focused mentally when they were explaining lessons. Sometimes, it takes us a lot of time to understand a lesson. When we write business plans, we sometimes get stuck without an idea on how to make it work in the future. And the theme is important because if we choose the wrong theme, we would not be able to help the society. How are you guys preparing for your San Francisco pitch? Soucheng: We are working together, rehearsing our slides, and after, we will have some people providing us feedback. Their feedbacks to us were to talk slower and put more data such as charts. What are some of the future plans for your innovation (such as scaling)? Tesputthira: Currently, the app is only targeted at locals, but in the future, they may extend it globally so that people in other countries can also promote their cultural product as well. We will not only focus on cultural products from Cambodia, but also products of cultural value from other countries. What are some advice or words of encouragement that you would like to share with aspiring young female entrepreneurs in Cambodia? Sabda: I think I will tell them to never give up, listen to your teammates and mentor, and come up with an idea that can help your country! Soucheng: To always have determination and tell your teammates that we can do it. To choose a theme and idea that you can make a reality. Mariya: If you don’t understand anything you should ask your mentors/teammate. Leza: Have good collaboration and help each other to do work and answer questions. Cheata: Always listen to your mentors when they are explaining. Tesputthira: For me, I think girls are very awesome in technology. Never quit your interest in technology just because of your gender. Soucheng: Also, even if you feel that it may be too stressful for you, don’t think of quitting because Technovation is a really rare opportunity and opportunities do not come easy. So take your opportunity and make it great! And that concludes our interview with these young, but passionate girls! Barely a decade since they were born, and they are already accomplishing so much by coding their own app and having the chance to pitch at Silicon Valley. 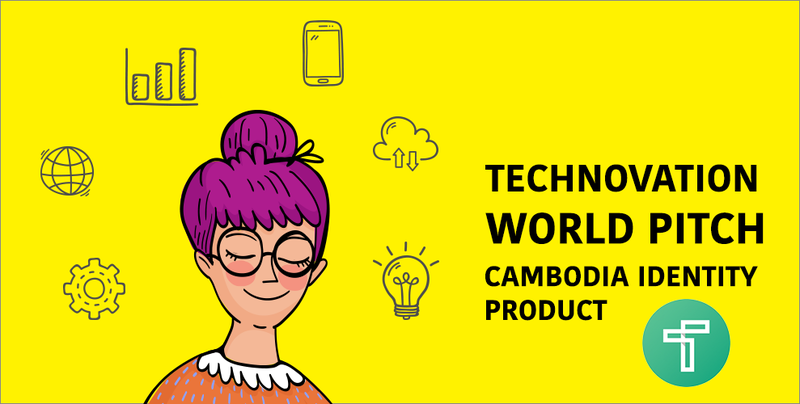 Geeks in Cambodia is confident that they will go far in inspiring other girls to pursue their passion in the tech field, and wishes them all the best for their pitch at San Francisco tonight!